Some of the best DIY sources keep it simple – focusing on clean design and beautiful aesthetics. Here are a couple of my favorite resources to inspire projects for your long weekend. A very happy Labor Day to all! 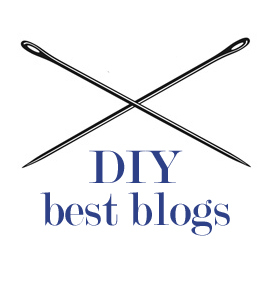 Sleek, simple and always fashion focused, A Pair & A Spare is a great blog for effortlessly chic DIY projects. If you are just dipping into the DIY projects, the “How to DIY” post is a must read column. A Pair & a Spare author Geneva Vanderzeil contributes regularly to Harper’s Bazaar and has been featured with Net-a-Porter. Honestly WTF is pretty much as clever as its name. It has a great array of projects, including varying degrees of difficulty and complexity, which is great for experienced crafters and DIY wizards. Sequins & Stripes is a super cute blog combining fashion and DIY projects. Dubbed for the “sparkle obsessed” this is one for all you glitter feigns. With a tagline of “Stop pinning, start creating” how can you not love Dismount Creative? In addition to this cheeky blog, founder Alicia DiRago also just launched her own business, Whimseybox, which is kinda like Birchbox for crafters. Awesome. This entry was posted on August 31, 2013 by elisabeth in DIY and tagged DIY blogs, DIY projects.